First, there was software – and mapping it manually to controllers. Then, there was integrated hardware made for specific software – but you practically needed a different device for each tool. 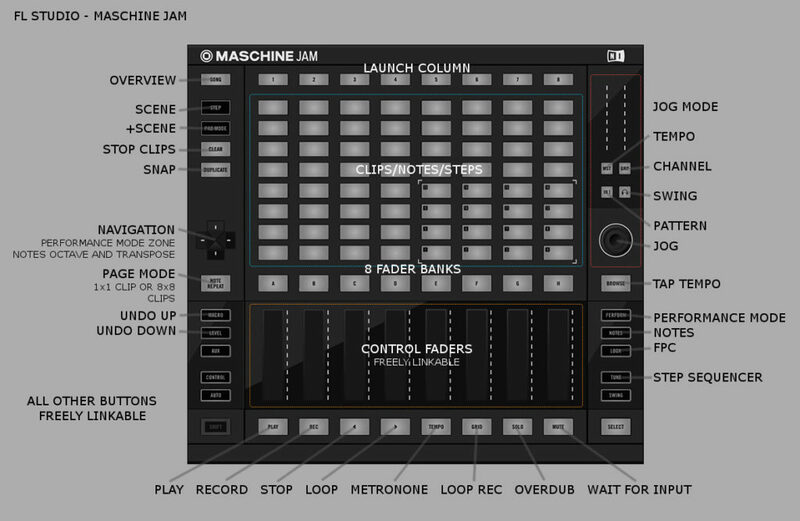 Maschine Jam is a third wave: it’s deeply integrated with software workflows, but it can swap from one tool to another without having to change how you work. That’s possible because Maschine Jam is focused on some fairly specific workflows as far as triggering patterns, creating melodies and rhythms, and controlling parameters. The “jam” part is really focused on live control. So it’s not quite about deep sample editing and studio production like Ableton Push or Maschine Studio, but it is then adaptable to lots of other contexts. 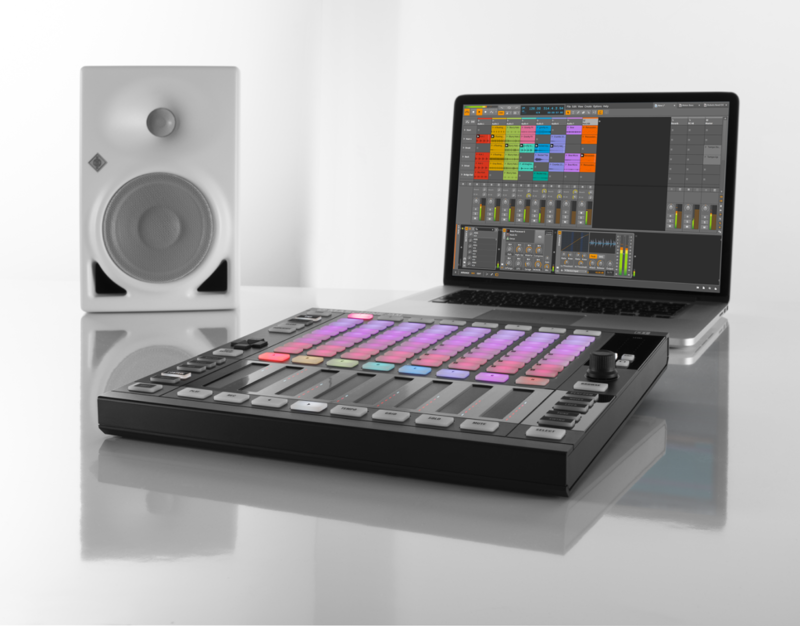 In short, even if you keep your beloved Push in the studio, Maschine Jam wants to be the lightweight live gigging controller you toss in your backpack. I was already impressed by Maschine Jam’s Ableton Live integration. It’s not a Push, mind – there’s no velocity sensitivity, and you will sometimes miss the availability of displays on the hardware. (That means looking at the computer screen, which is part of what these controllers could free you from.) But it’s also lighter, boasts integrated touch strips for mixing and parameter control, and lots of quick workflow shortcuts that make it really handy playing live. When Gerhard first introduced Push, he talked about it as a way to start tracks. And it remains a powerful hardware window into the production process. But now I find Jam fits the rest of the picture: quick jam sessions and playing live. Oh yeah, and there’s the price: US$399 street, which of course includes Maschine and all the Komplete 11 Select features. That’s not a bad deal on the hardware controller alone, and it’s a stupidly good deal once you figure in it gives you entry to all the software. But now a new update deepens the integration with Ableton Live, Max for Live, FL Studio, and Bitwig Studio, too, giving you a range of choices on Mac, Windows, and Linux. As other controllers attempting to be universal live controllers have faded into the background, Maschine Jam seems to realize the promise. Let’s look at how integration works in each. If I had to show just one feature that explains how Jam is a bit different than Launchpad Push APC grid blah blah more grids blah blah…. Well, it’s this. Maschine’s locking and morphing means that you can experiment with capturing and then transforming different settings. There’s some especially deep possibilities here when you combine it with Reaktor Blocks, synth lovers. Maschine Jam already works in Ableton Live for clip triggering and (crucially) mixing with fader strips. Clip triggering works exceptionally well, in fact: while NI’s grid lacks velocity sensitivity, the compact pads are ideal for this use case and deliver a responsive ‘snap’ when pressed. Device parameter control is there, too, though you may slightly miss having a screen for knowing which control is which. Here’s the basic Ableton integration. It’s very, very similar to what you get with Ableton Push – but now you can swap between working this way in Maschine and working this way in Ableton. And honestly, part of the appeal to me of Jam is that it does less – so there’s a limited set of stuff that you get really quick at. Where things get interesting in today’s update is that now you’ve got a dedicated Max for Live template, too. That opens up lots of other clever features – or even locking the Jam to a Max patch whilst another controller does something else. Now, I know Ableton may be a bit squeamish about this being an Ableton controller that lacks their branding and collaboration. But as a user of Live since version 1, part of the ongoing appeal to me of this tool is its versatility and the ability to use a variety of hardware in different situations. So I do hope the Abletons warm up to what NI have done here. Intrepid FL Studio users have hacked all sorts of smart ways of playing live over the years. Now, more recent versions of FL are really nicely equipped for live performance. And FL is really an ideal match for Jam. It has long had step sequencing as an integrated, native feature, and now combines the level of steps/notes with larger clips and patterns. It’s a really lovely environment. In fact, just … possibly mute the video you’re about to see, because while the music will appeal to someone, it sort of reinforces this idea that FL is just for certain music genres. It’s not. You can do anything you like. And FL’s architecture and efficiency I think are top notch. I’ve sort of saved the best for last. Bitwig benefit from having a new architecture rather than loads of ancient legacy code. And as a result, the environment hardware makers have for compatibility is really ideal. Native Instruments have partnered with Bitwig directly as I understand it in order to deliver a template with deep integration. The basic mold is what you get from Ableton – control Maschine, switch and control Bitwig, get pattern creation and sequencing and mixing and parameter control in each. But there are some subtle and important differences here. Fine fader control. The best one to me is this one – SHIFT gives you fine-adjustment on the touch strips for more precision, as in Jam. Note events light up on running patterns. Bitwig’s onscreen overlay works. That actually gets a bit confusing in Ableton Live, which lacks Maschine’s heads-up display. Actually, it’d be great if Live had this, for Max patchers and custom controllers. Global swing support. Again, as in Jam. That really adds to the hardware/groove feel of the integration, though. Change drum machines using the built-in Bitwig drum machines when sequencing (via SELECT). SHIFT+SOLO to change pattern length. And this is definitely the best video, because it comes from Thavius Beck. You’ll want the latest version of Bitwig Studio. This being Bitwig, it’s even ready for Ubuntu.